Happy Halloween! I hope everyone has had a beautiful weekend, filled with candy and/or beer. 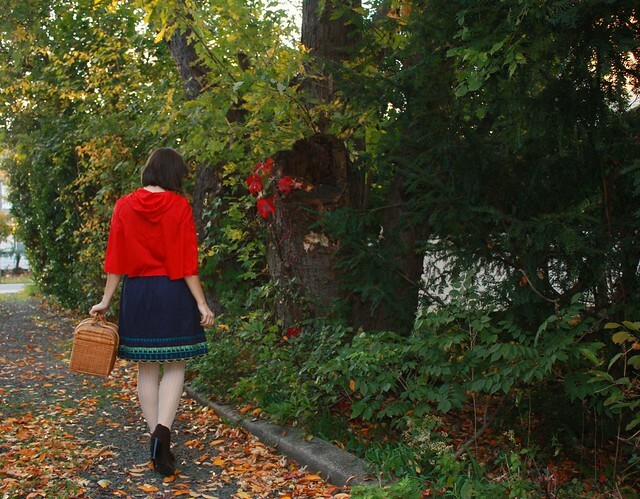 I have been dreaming of my costume as Little Red Riding Hood since last year. After last Halloween I became totally inspired by the story and her cute little cape. I was originally going to make one, but since there was no time I bought one and customized it with bluebird patches from the craft store and blue grosgrain ribbon. The inspiration for my costume came from here last October. So did anyone else dress up? What did you do? you make an adorabel RRH. 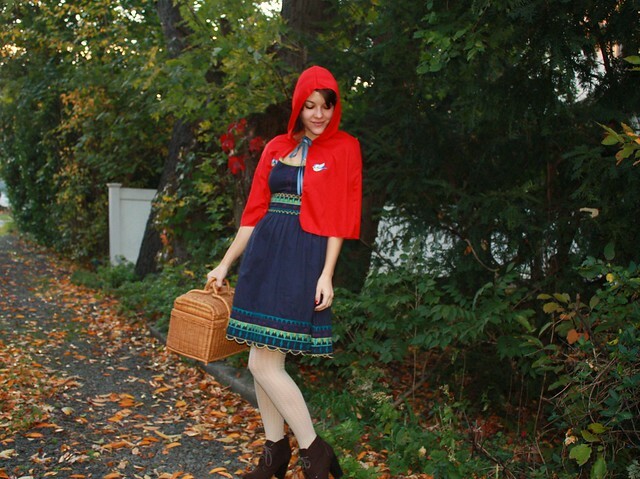 come check out another version of this fairy tale on my street style blog, http://streetstylesacramento.com (see Little Red vs. Big Bad) Happy Halloween! Lovely! Little Red Riding Hood has always been one of my favourite characters. You look so cute!!! THis is definitely one costume I would love to try one year. I went as Lady Gaga this year, but I want to do something like Goldilocks or little red riding hood next year. Love this! Little Red Riding Hood is such a good costume idea!! You're adorable. (: I was Wendy for Halloween but I don't have any pictures up yet. How cute! Recently I've decided that I want a red hooded cape. Not sure if I could pull it off though. 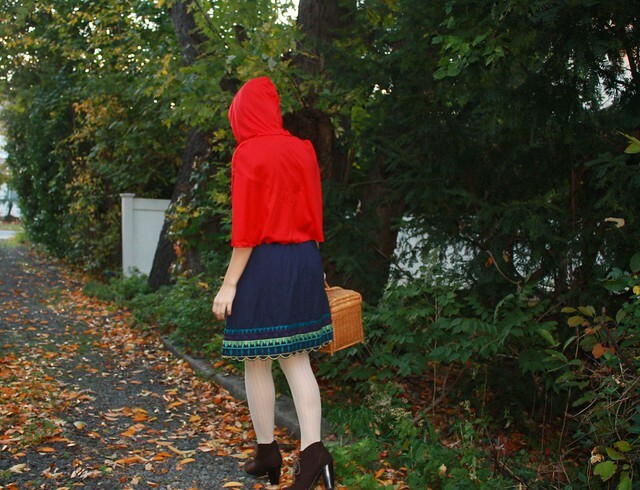 This is odd, but if I had to guess what you would be for halloween, I would've guessed Little Red Riding Hood.